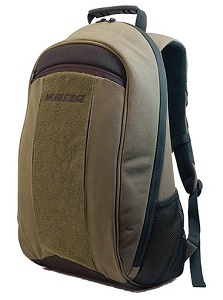 The ECO Backpacks are the latest additions to the 'ecollection' line of environmentally-friendly cases. Made of all-natural cotton canvas, these cases pack a lot of style, function and features into a minimal carbon footprint! The ECO Backpacks have a modern, edgy style that incorporates all the features you need when you’re on the move. A dedicated padded computer compartment keeps your laptop protected, while separate sections for files, folders, magazines and accessories will keep your gear organized and at your fingertips! Multiple anchor locations for the removable ID Holder provide quick access to your ID cards. Protect your laptop and the environment with the Mobile Edge ecollection! Product Dimensions: 15.5" x 6" x 22"
Laptop Compartment: 11" x 1.7" x 17.5"